Thompson said he didn’t have many details about the birth, but to his knowledge, staff members of the facility were there when the baby was born, and it was a natural birth. He wasn’t able to confirm if the baby was full term at the time of the birth, but he said the baby boy was ‘quite a long ways’. ‘This was a helpless victim who was sexually assaulted,’ Thompson told reporters. He said the woman, 29, who has not been identified, was ‘not in a position to give consent’. It’s unclear if the woman was assaulted more than once, but it is a possibility. ‘The family would like me to convey that the baby boy has been born into a loving family and will be well cared for,’ Phoenix attorney John Michaels said in a statement. ‘We will continue to cooperate with Phoenix Police and all other investigative agencies to uncover the facts in this deeply disturbing, but unprecedented situation,’ the company said in a statement. 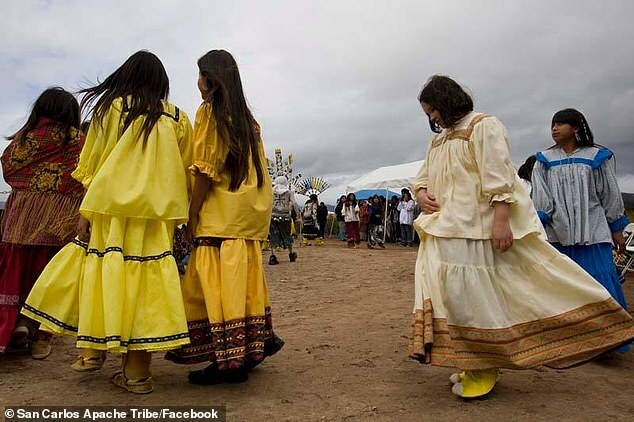 The woman’s name was redacted from the tribal statement. It’s not known if the woman has a family or a guardian. 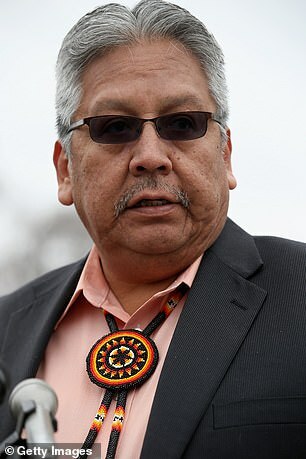 ‘On behalf of the tribe, I am deeply shocked and horrified at the treatment of one of our members,’ tribal chairman Terry Rambler said. 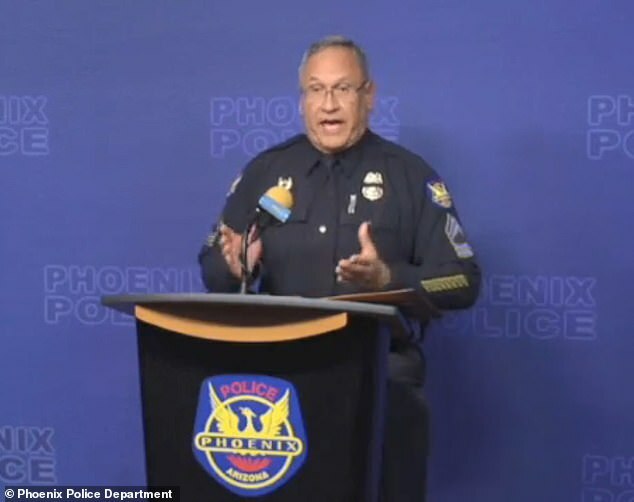 San Carlos Apache Police Chief Alejandro Benally said Phoenix police ‘will do all they can to find the perpetrator’ and his department will assist ‘in any way possible’. In a statement, board member Gary Orman said the facility ‘will accept nothing less than a full accounting of this absolutely horrifying situation’. ‘We will do everything in our power to ensure the safety of every single one of our patients and our employees,’ Orman said. The decision was unanimously accepted by the provider’s board of directors. Gov Doug Ducey’s office has called the situation ‘deeply troubling’. 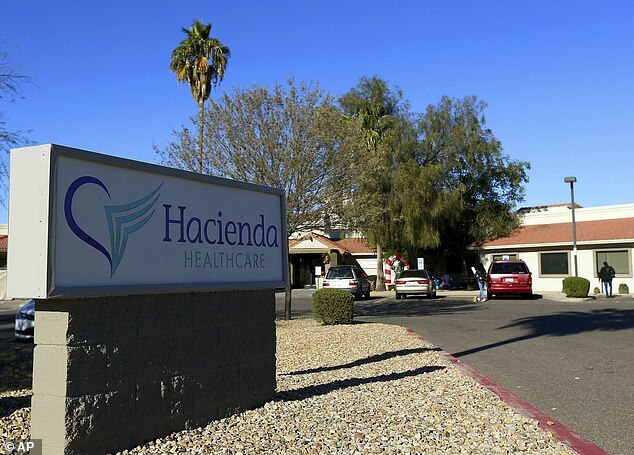 The Hacienda facility serves infants, children and young adults who are ‘medically fragile’ or have developmental disabilities, according to the website. The state’s online complaint database for care facilities shows multiple complaints about the facility going back to 2013. ‘There’s a lot of information we do not have. But things like this don’t happen without someone either knowing about it or should have known about it,’ Solomon said. Thompson said that the baby’s DNA will be one of their key tools in the investigation. Doing background checks isn’t enough, said Erica McFadden, executive director of the Arizona Developmental Disabilities Planning Council. ‘I think when you’ve had somebody who’s had multiple allegations from different parties, there has to be some way to track that,’ McFadden said. ‘We don’t have a systematic way to train people what’s a good touch or a bad touch. We also don’t have required training for providers,’ McFadden said. ‘I wasn’t there. I clearly don’t have firsthand knowledge of what happened,’ Meyers said.